Nokia is definitely not out of the woods yet. Yes, it is making a bit of headway with its pretty decent Lumia Windows Phone line, but an additional 10,000 job cuts, taking the total to 40,000, doesn't scream "winning" just yet. 10,000 people will be put out of a job before the end of 2013, including three of Nokia's top brass. Nokia's also selling off its super-expensive phone brand, Vertu, and will license more of its mapping technology to help bolster finances. In the mess of these layoffs, Nokia also doubled-down on imaging by snapping up Scalado, the Swedish mobile imaging specialists, bringing people, patents and technology with them. 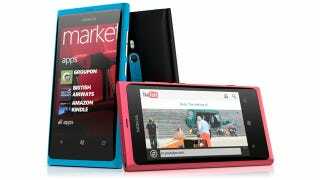 Nokia said the purchase was made to boost imaging prowess in its Lumia line, which probably means tweaks and optimisations to the PureView technology, and that's a really good thing. Affected by the Nokia layoffs and want to tell your side of the story? You can reach us here any time.